If you have any questions about this product by Daily Chef, contact us by completing and submitting the form below. If you are looking for a specif part number, please include it with your message. Dutch Quality House Natural Ready to Cook Chicken Breast Fillets, 4 Ounce - 1 each. Perfect Answers Original Breaded Portioned Chicken Breast Fillet, 10 Pound - 1 each. Tyson Red Label Select Cut Hot N Spicy Breaded Chicken Breast Portioned Filet, 4 Ounce - 2 per case. Tyson Red Label Premium Golden Crispy Uncooked Breaded Chicken Breast Tenderloin, 5 Pound - 2 per case. Tyson Red Label Select Cut Golden Crispy Breaded Chicken Breast Portioned Filet, 3.5 Ounce - 2 per case. Tyson Fritter Chicken Breast Portions, 5 Pound - 2 per case. Tyson Boneless/Skinless Whole Chicken Breast, 5 Pound - 2 per case. Tyson Formulated Chicken Breast Fillet, 4 Ounce - 40 per case. 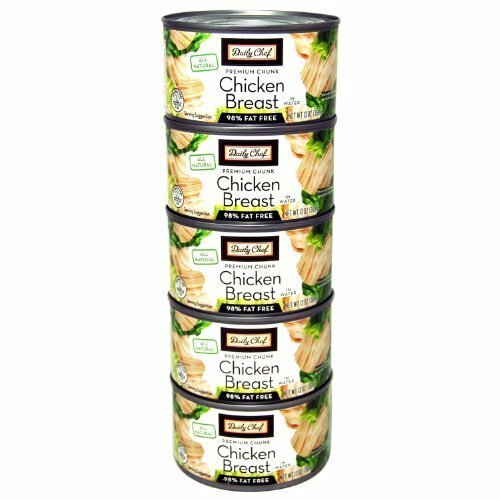 Tyson Savory Tenderpressed Chicken Breast, 3 Ounce - 54 per case.